Kaufman Elegant 3-Piece Towel Set Jacquard Fish Border with Monogram. 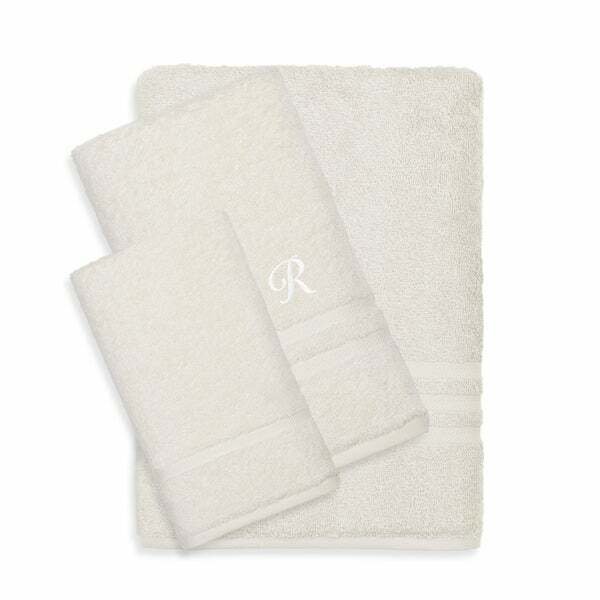 Bring five-star hotel luxury to your own bathroom with this three-piece towel set made from 100-percent Turkish cotton for superior absorbency. Personalize this set with an initial monogram for a custom look. not as white as I was hoping, but they are very elegant for just decorations. The monogram was nice, I was hoping all the pieces would have the monogram, but sadly only one did. I may not have read the description close enough. So I blame myself for that one.